Concept Windows and Conservatories offer replacement panels for supply and fit. We know there are multitudes of glazing variations that include coloured and bevelled glass, Georgian or leaded and in excess of 100 different panel designs, the flexibility to truly personalise your door is endless. We can provide fully reinforced panels to ensure your Concept panelled door is highly secure, energy efficient and aesthetically pleasing. Replacement uPVC panels are a great choice if you have a problem with your door but the framework is still fully functional. Your replacement door is the gateway to your home so should not only look attractive but should also provide the highest levels of security and weather shielding possible. We incorporate the very latest security features on our uPVC doors, including multi-point locking and shoot-bolt options to make each door and replacement panels as intruder proof as possible. 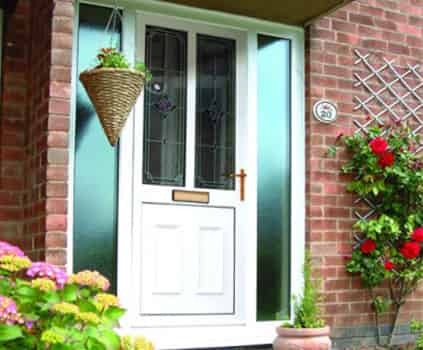 With replacement panels and door styles to suit every type of property, traditional or modern, our doors are constructed from the highest quality uPVC to keep them looking excellent for years to come. All replacement panels will be fitted to match our extensive colour range. This ensures a neat, consistent and attractive finish for all replacement panel installations. In keeping with our beautiful selection of colours, replacement panels can be fitted in colours ranging from the incredibly popular ‘Anthracite Grey’ to the classic and sophisticated ‘Mahogany’. Any replacement panel will completely match the quality and aesthetic of any door they are installed into, guaranteed. In need of a Replacement uPVC Panel? You can contact us, or call us on 01708 463563. We’d be happy to provide any information you need.